Drilling capacity in: - Concrete / steel / non-ferrous metals / wood: 22 / 13 / 22 / 30 mm - Core cutter (TCT cutter only) in masonry up to: 60 mm No load rpm: 0-1300 min–1 No load impact rate: 6200 min–1 Weight: 2.6 kg Power input: 650 W.
Short on time? 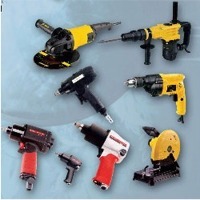 Let power-tool sellers contact you. Zhejiang Top Power Tools Co., Ltd.
Zhejiang Changlong Electric Co., Ltd.
Technical parameter: TUV, CE, EN61058 FA2-4/1BEK, FA2-4/1BEK-1, FA2-4/1BE 4, 3A 250V~5E4 CQC, GB15092 FA2-4/1BEK, FA2-4/1BEK-1, FA2-4/1BE 4, 3A 250V~5E4 Main characteristics: Single-pole NO speed regulation control With close locking With forward & reversal rotation device With speed adjustable knob Optional output waveform:half wave or full wave. With dustproof function Single-speed and double-speed are optional Mechanical life:more than 1E5 times. Cartons. 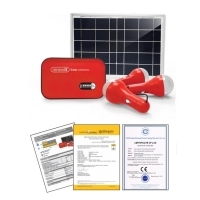 We are Power tools sales & service online shop Original Power Tools Battery, Power Tools Battery Charger ,Power Tools battery ,Power Tools ,also a licensed secondhand dealer. Our products are genuine branded tools, not copies, not fakes & come from authorized factories & agents.100% Customer satisfaction is our goal. We do combine shipping & large orders to cut cost down. Box/boxes. Shanghai Zishuo Plastic And Mold Co., Ltd.
Our company as a reliable and leading mould manufacturer from China mainland, specializing in plastic mold designing, mold making, injection moulding, products assembly and products surface treatment services. Bazhou Dpair Hardware Tools Co., Ltd. Features It is applicable to be as the support of large cable reel in laying cables in the city. It is easy to move with the trundles in the bottom. It can be equipped with a braking device, using the foot brake. Hydraulic cable drum jacks, cable jack stand is used for supporting the cable drum when laying cable, with the trapezoidal structure, hydraulic cable drum jacks, cable jack stand is easy to move, and in the process of using, it is secure and durable. With the oil pressure, it can support high, simple operation and can be lifted quickly and easily.